The new Constitution of Georgia entered into force upon the inauguration of the new President. According to the new Constitution, the Supreme Court judges will be nominated by the High Council of Justice, instead of the President, and endorsed by the Parliament for lifetime tenure. The accelerated and closed process of selection of the Supreme Court judges was launched just few days after the inauguration. There was no broad public consensus on the majority of candidates. 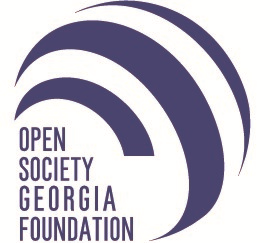 On December 26 Open Society Georgia Foundation hosted the round table with the participation of lawyers, former judges and human rights watchdogs. On December 28 Georgian NGOs issued the statement upon latest developments related to court. “We, the signatory organizations, respond to recent developments related to the nomination of Supreme Court judges. The Parliament of Georgia decided to deliberate on the candidates nominated by the High Council of Justice at its spring session. It is welcomed that the deliberations were postponed largely due to the principled position of Eka Beselia, chair of the Legal Affairs Committee, and some other lawmakers. However, it is alarming that because of expressing different positions, the Chair of the Parliament’s Legal Affairs Committee has to quit her post. This fact once again confirms that the ruling political force has no political will to carry out comprehensive judicial reforms and systemic changes. Therefore, the judiciary remains under the influence of a narrow circle of individuals. We believe that the responsibility for the failure of the judicial reform as well as for strengthened clannish system in the judicial management completely lies upon the ruling political team. Appointment of Levan Murusidze as the judge of the Court of Appeals for lifetime tenure is yet another confirmation of it. Urgent opinion of Venice Commission on the selection and appointment of Supreme Court Judges in Georgia.